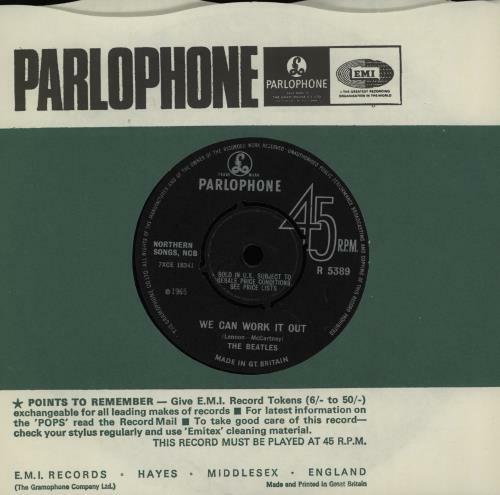 THE BEATLES We Can Work It Out (1965 UK second press 7" vinyl single with four prong centre, 'Gramophone Co' & 'Sold in the UK' label text in upper case, also including Day Tripper, Parlophone company die-cut paper sleeve. The vinyl remains in excellent condition with just a few light surface scuffs to show for over fifty years R5389). 1 - 2001: L'Histoire Continue!! !